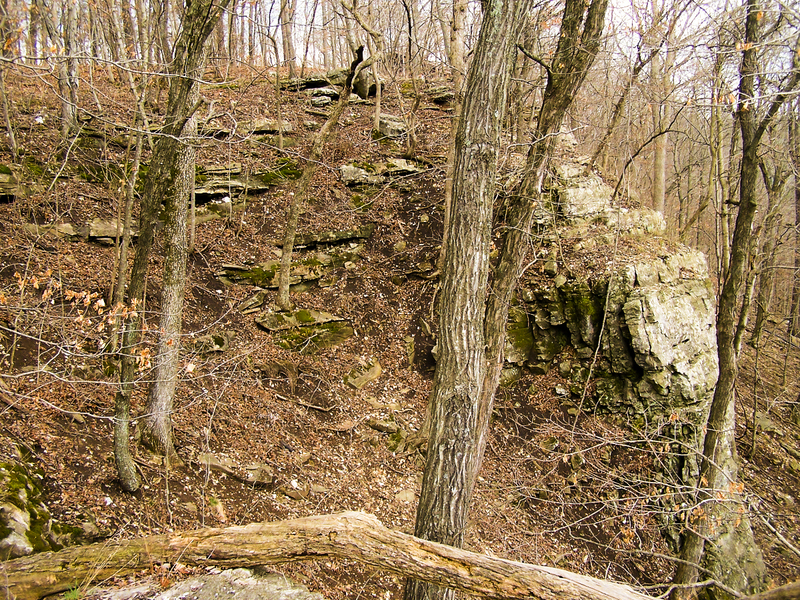 Cliffs over the Hinkson Creek are a prominent feature of this Columbia, Missouri landowner-managed conservation easement. Site – Roughly 5 acres along the Hinkson Creek, near downtown Columbia, Missouri, including limestone bluffs, meadow and woodland. The site is residential. History – The Marshall easement site was originally purchased by Edmund and Gertrude Marshall to build their home and create green space in an urban context. After the death of Gertrude the family created an easement to ensure that the natural features would be protected by future owners and remain as undeveloped woods with one single-family home. The property is currently the home of Fred Young and Julie Youmans. 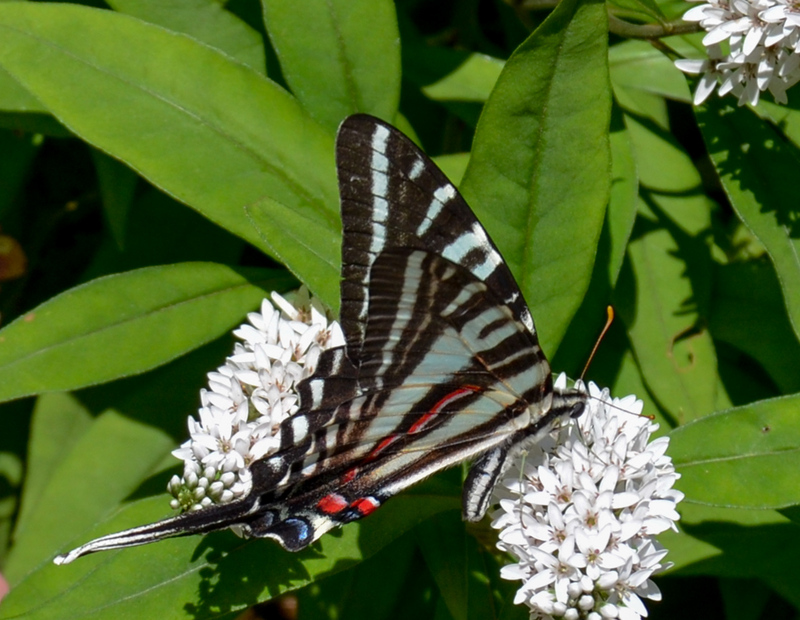 Activity – Current owners of the Marshall easement manage the approximately 5 acres to create wildlife habitat, remove invasives, and install plants that will attract pollinators.